Franz Clemens Honoratus Hermann Brentano (January 16, 1838 – March 17, 1917) was a philosopher and psychologist. He contributed to a number of different areas in philosophy, but his primary contribution was his philosophy of mind, in the broad sense of the term. His philosophy indicates influences from Aristotle, Scholasticism, and positivism of the nineteenth century. Brentano was a charismatic teacher and had a number of notable students including Edmund Husserl, Alexius Meinong, Christian von Ehrenfels, Kasimir Twardowski, and others. A number of his ideas such as the concept of intentionality, which he derived from the Scholasticism, and the concept of philosophy as the study of consciousness had a significant influence on Husserl. Husserl’s early formulation of phenomenology was based upon these ideas from Brentano. Lujo Brentano, an eminent economist and social reformer, is his brother. Brentano was born in 1838 in Marienberg am Rhein in modern Germany. He grew up under Roman Catholicism and studied philosophy at the universities of Munich, Würzburg, Berlin (with Adolf Trendelenburg) and Münster. He had a special interest in Aristotle and scholastic philosophy, and wrote his dissertation, “On the Manifold Sense of Being in Aristotle,” which later made an impact on Martin Heidegger. Subsequently he began to study theology and entered the seminary in Munich and then Würzburg, preparing to become a Roman Catholic priest (ordained August 6, 1864). In 1865–1866, he wrote and defended his habilitation essay and theses and began to lecture at the University of Würzburg. His students in this period included, among others, Carl Stumpf and Anton Marty. Between 1870 and 1873, Brentano was heavily involved in the debate on papal infallibility. A strong opponent of such dogma, he eventually gave up his priesthood. Following Brentano's religious struggles, Stumpf (who was studying at the seminar at the time) was also drawn away from the church. 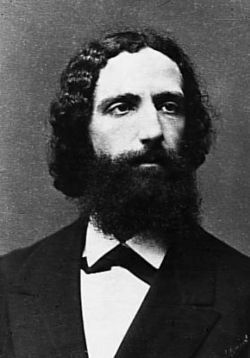 In 1874 Brentano published his major work "Psychology from an Empirical Standpoint" and from 1874 to 1895 he taught at the University of Vienna. Among his students were Edmund Husserl, Alexius Meinong, Christian von Ehrenfels, Rudolf Steiner and many others. While he began his career as a full ordinary professor, he was forced to give up his Austrian citizenship and his professorship in 1880 to be able to marry. The Austro-Hungarian Empire did not permit the marriage of someone who had been an ordained priest. He was permitted to return to the university only as a Privatdozent. After retirement, Brentano moved to Florence, Italy, and at the outbreak of the First World War moved to Zürich, where he died in 1917. During the last years of his life, Brentano gradually developed an eye illness, and finally lost his eyesight. Brentano still produced his works with the help of his wife, who read books for him and dictated what he spoke until his death. Brentano is best known for his reintroduction of the concept of intentionality—a concept derived from scholastic philosophy—to contemporary philosophy in his lectures and in his work Psychologie vom Empirischen Standpunkte (Psychology from an Empirical Standpoint). While often simplistically summarized as "aboutness," or the relationship between mental acts and the external world, Brentano defined it as the main characteristic of psychical phenomena, by which they could be distinguished from physical phenomena. Every mental phenomenon, every psychological act, has a content and is directed at an object (the intentional object). Every belief, desire, etc. has an object: the believed, the wanted. Brentano used the expression "intentional inexistence" to indicate the status of the objects of thought in the mind. The property of being intentional, of having an intentional object, was the key feature to distinguish psychical phenomena and physical phenomena, because physical phenomena lack intentionality altogether. He is also well known for claiming that Wahrnehmung ist Falschnehmung (“perception is misception,” or literally “truth-grasping is false-grasping”) is to say perception is erroneous. In fact, Brentano maintained that external sensory perception could not tell one anything about the de facto existence of the perceived world, which could simply be illusion. However, one can be absolutely sure of one’s internal perception. When someone hears a tone, they cannot be completely sure that there is a tone in the real world, but they can be absolutely certain that they hear. This awareness, of the fact that one hears, is called internal perception. External perception, sensory perception, can only yield hypotheses about the perceived world, but not truth. Hence Brentano and many of his pupils (in particular Carl Stumpf and Edmund Husserl) thought that the natural sciences could only ever yield hypotheses and not universal, absolute truths as in pure logic or mathematics. Brentano attempted to define philosophy as a “rigorous science.” As this formulation indicates, he tried to develop philosophy not as a system of speculative ideas, but as a discipline comparable to the natural sciences. Brentano, however, did not take physics or mathematics as the model of science or the model of knowledge as other positivists did. He rather conceived philosophy as being comparable to psychology, arguing that psychology bore more resemblance to philosophy than any physical science. While physics deals with external phenomena, psychology deals with phenomena that are internal to the self. Physical phenomena are accessible to the third person through external observation, but mental phenomena are directly accessible only to the first person. In other words, the field of psychology exists in the realm of consciousness, which is, according to Brentano, accessible only to the first person through introspection. Another reason for Brentano’s preference for psychology as the model of knowledge is that subjective experiences imply a level of certainty, whereas judgments about external phenomena do not. For example, when one feels “hot” air in a room, the experience of “feeling hot” is always true. But, one can make incorrect judgments about the objective external phenomena of air temperature. The air temperature can be low, but the person may have just “felt” hot. Nevertheless, the subjective “feeling” of hot or the fact that he felt hot air is always true (this type of thought was put forth by Rene Descartes in the development of early modern philosophy). Furthermore, as opposed to behaviorist psychology built on the analyses of external behavioral patterns of human action, Brentano developed descriptive psychology as the descriptive study of mental phenomena based upon introspection, and derived philosophy as an extension of psychology. Nevertheless, Brentano’s solipsistic tendency limited the field of study to what was accessible through the first person’s introspection. Since Husserl developed phenomenology under the strong influence of his teacher, Brentano, Husserl’s early formulation of phenomenology had the same solipsistic tendency. A number of ideas in Brentano’s philosophy directly influenced Husserl’s formulation of phenomenology, a major philosophical movement in the continental tradition of twentieth-century philosophy. At first, like Brentano, Husserl conceived philosophy or phenomenology as a “rigorous science.” Husserl then took the field of consciousness as the area of study, and developed phenomenology as an extension of descriptive psychology. While Brentano conceived philosophy as existing parallel to psychology, Husserl made a clear distinction between them. Husserl defined philosophy or phenomenology as the study of “essence” that exists in given mental phenomena. For Husserl, while natural science was the study of natural facts, philosophy or phenomenology was the study of essence that is encountered through experience. Brentano later explicitly criticized Husserl’s essentialist orientation. The concept of intentionality and the philosophy of time as the study of an internal time consciousness were also ideas central to Husserlian phenomenology that were developed by Brentano. Brentano, Franz. Aristotle and His World View. Berkeley, CA: University of California Press, 1978. Brentano, Franz. On the Several Senses of Being in Aristotle. Berkeley, CA: University of California Press, 1975. Brentano, Franz. Psychology from an Empirical Standpoint. New York: Humanities Press, 1973. Rancurello, Antos C. A Study of Franz Brentano: His Psychological Standpoint and his Significance in the History of Psychology. New York: Academic Press, 1968. This page was last modified on 8 May 2017, at 22:26.